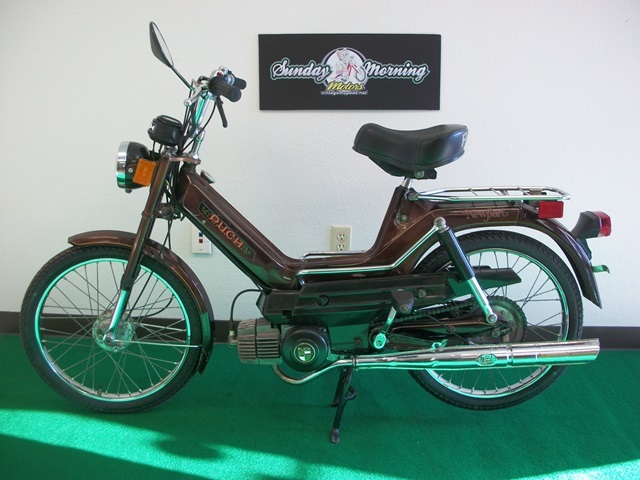 Fully reconditioned 1977 Puch Newport moped just in time for spring! 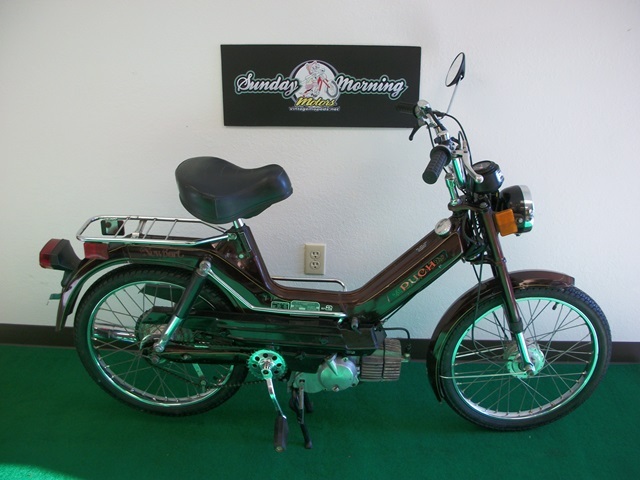 Everything on this moped has been rebuilt, inspected, tightened, torqued , tuned, and polished. 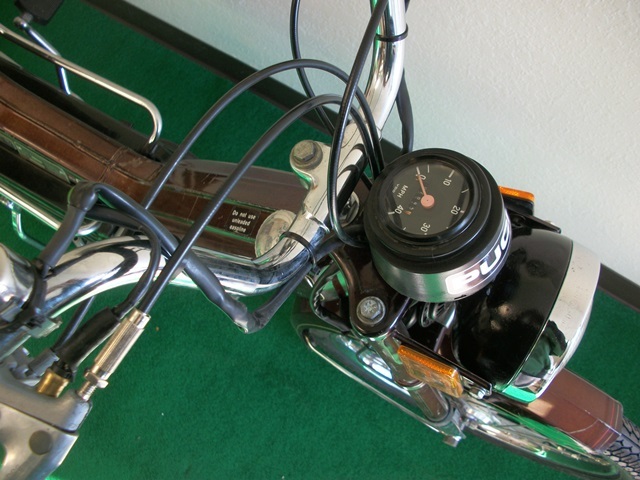 Many new parts were installed including quality tires, cables, mirrors, bulbs and grips along with a professionally rebuilt 2hp engine and carburetor. 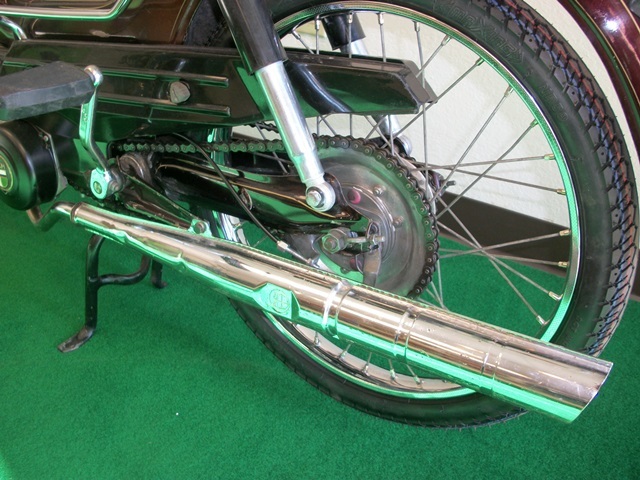 A Puch Newport is mechanically and structurally identical to the Maxi models. Newport’s feature a thicker and more contoured solo saddle seat, chrome side grab bars, funky 1970’s swirly graphics and reflective sidewall tires. 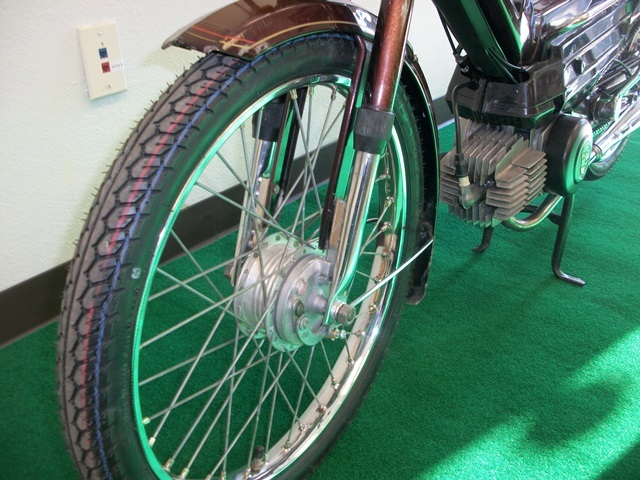 This bike would make a great reliable daily commuter and with a little care you could expect it to be around for another 35 years! 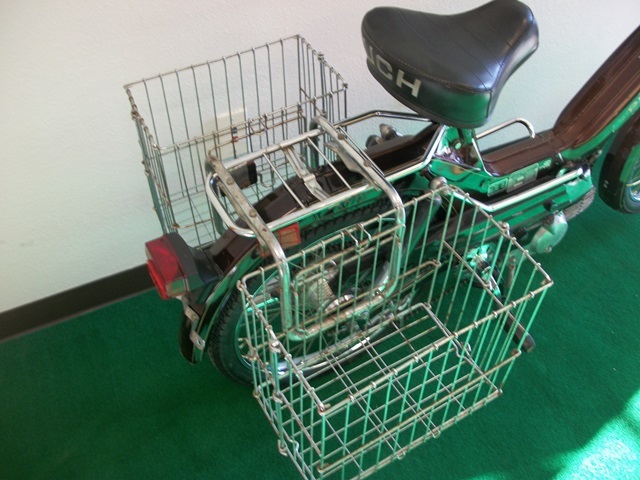 If you plan on using this moped for a urban grocery getter, we can even install the original vintage blinkers and folding baskets for you before we deliver it. 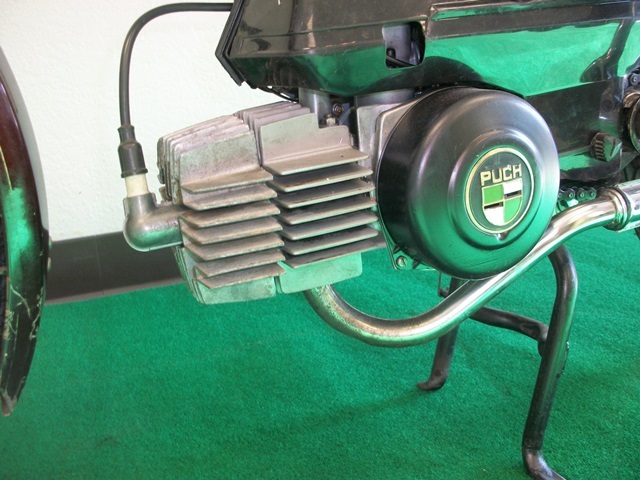 For only $850.00 you get a Sunday Morning Motors reconditioned Puch, free delivery, a warranty and a promise of unlimited fun this Spring!